Before I go into great detail on why this film annoys me, I would be remiss not to admit that Sully is a deftly crafted spectacle that is acted, written, and directed with great skill. 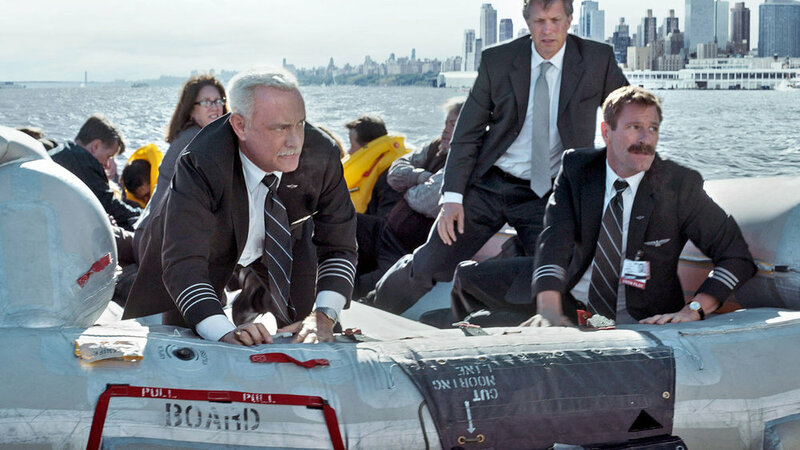 Throughout most of the film, the cinematography is dark, dreary, and miserable, mirroring the stressful metal state of Sully and Skiles after the crash. Sully’s best moments are, in fact, the considerable effort it puts into showcasing the PTSD and mental trauma that both pilots experienced after the crash. Hanks manages to give depth to an utterly boring, real person, while Eastwood’s spectacle flashbacks and hypothetical crash fantasies give weight to a miracle that could have easily been an unmitigated disaster. The NTSB work as cartoonishly evil movie villains, the final showdown between the two pilots and then NTSB is a tense back and forth dialogue, and the crash itself is filmed so well you may almost be convinced that the passengers are in danger of losing their lives. Unfortunately, the movie is a duplicitous, dishonest account of the events that actually transpired. My main criticism of Sully is the way the NTSB is portrayed in the film. The NTSB investigators are incredulous at Sully’s life-saving decision to land in the Hudson River and seem more concerned with assigning blame. Just in case you think this was unintentional in any way, the screenwriter, Todd Komarnicki, claims said that the NTSB, “spent nine months trying to pin this on him...they didn’t like that he was a hero (Irving).” Allyn Stewart, a producer on the film said “the film is not a documentary. But at the same time, it needs to be an authentic view of what Sully and Jeff experienced and this was what they faced (Negroni).” The final dishonest nail in this fraudulent coffin comes from none other than, Clint Eastwood himself, who said in a promotional video that, “the investigative board was trying to paint the picture that he had done the wrong thing (Negroni).” You may think, “So? What's the big deal?” Well, the big deal is that the antagonists of the film should be a flock of geese, not the NTSB, a small government agency responsible for investigating transportation accidents and recommending precautions and procedures to ensure safety. Another unwelcome criticism that Sully can’t avoid is its remarkably similar subject matter and plot structure to the movie Flight. In both films, our lead is a master pilot who manages to pull off a remarkable maneuver that minimizes, or in Captain Sully’s case, completely eliminates the loss of life. In both films, the incidents and our lead pilots are thoroughly investigated, and the lead pilots, despite having saved most or all of the lives of the people on board, are brought before a ‘Board of Authority’ out for blood. Flight was an adept character study about the plight of a drug-addicted, alcoholic pilot after he managed to land a malfunctioning plane with a nigh impossible maneuver. Portrayed masterfully by Denzel Washington, the film was a first-class drama that excelled in every area, including pacing, story, special effects, but stumbled with its ending. Sully is inferior to Flight in almost every way. Flight is the better movie simply because we don’t know the story or the characters. We learn about them as the film unfolds, and Denzel’s Captain Whitaker is a tragically flawed character with tremendous depth. You see, unless you’ve been living under a rock, you know Sully’s story, and that’s the rub. 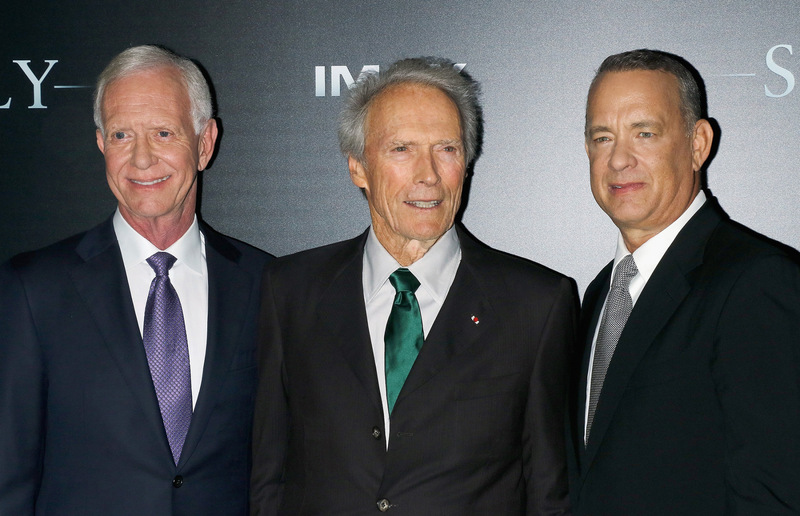 Captain Sullenberger’s story is perfect for real life, but not so much for a film. Thus, as previously mentioned, the filmmakers are forced to manufacture drama by making the NTSB out to be some sort of witch-hunting kangaroo court. This is a film about a hero, who has no flaws, does the right thing, saves everyones’ lives, and then is forced to shame the NTSB into admitting this very fact. Eastwood, Hanks, and Eckhart are still talented enough to make the film enjoyable, but at no point did the film surprise, inform, or enlighten me about the “Miracle on the Hudson” incident. Sully will ultimately go down as an inferior Flight retread about a perfect, unflappable hero who has to shame government stooges into realizing this very fact. It’s still entertaining, with decent special effects, and a legitimate effort put in to highlight Captain Sullenberger and First Officer Skiles’s PTSD. Sully tries have a saccharine, happy ending, like the one in real life, with a text blurb that sums up the entire movie, stating, “the best of New York came together. It took them twenty-four minutes.” The movie closes by showing a short video during the credits of the real Sully and most, if not all, of the passengers aboard Flight 1549. This uplifting ending utterly falls flat because it's completely at odds with the paranoid, tense, anti-government film we just watched. Sully is just kneecapped by its completely untrue, potentially damaging, and utterly manufactured drama by making the NTSB the accusatory antagonists. The film’s runtime is an almost perfect ninety minutes and is worth a watch. Just keep in mind, you’re watching an entertaining fiction loosely based on a legitimate hero who pulled off a remarkable miracle. As of January 1, 2018, Sully is available to stream on HBO. TLDR: Sully is an optimistic Flight retread about a pilot who does his job and no one dies, with incredibly hostile and fictional bureaucratic villains. 3/5 Stars. Bahr, Lindsey. “Hanks, Eckhart Take Flight as Real-Life Heroes in ‘Sully.’” The Seattle Times, The Seattle Times Company, 7 Sept. 2016, www.seattletimes.com/nation-world/hanks-eckhart-take-flight-as-real-life-heroes-in-sully/. Irving, Clive. “The Unsung Hero Left Out of 'Sully'.” The Daily Beast, The Daily Beast Company, 18 Sept. 2016, www.thedailybeast.com/the-unsung-hero-left-out-of-sully. Negroni, Christine. “'Sully' Is Latest Historical Film to Prompt Off-Screen Drama.” The New York Times, The New York Times, 9 Sept. 2016, www.nytimes.com/2016/09/10/business/sully-is-latest-historical-film-to-prompt-off-screen-drama.html. Olshan, Jeremy. “QUIET AIR HERO IS CAPTAIN AMERICA.” New York Post, New York Post, 17 Jan. 2009, nypost.com/2009/01/17/quiet-air-hero-is-captain-america/.